On yesterday, March 25, ESPN Rise released their Fab 50 rankings. Central is up 1 to 24. Millington dropped 1 to 34. On today, March 18, ESPN Rise released their Fab 50 rankings. After losing the State Championship game, Central dropped to 25 from 21. Millington dropped from 32 to 33. This weekend Team Memphis Elite will be hosting an AAU Super Regional Event (formerly Rumble on the River). Last year's Rumble on the River featured some awesome talent. This year's event should be even better. View the video to see why the Spring Show Off NCAA Certified Girls Basketball Camp is an event that you must attend. 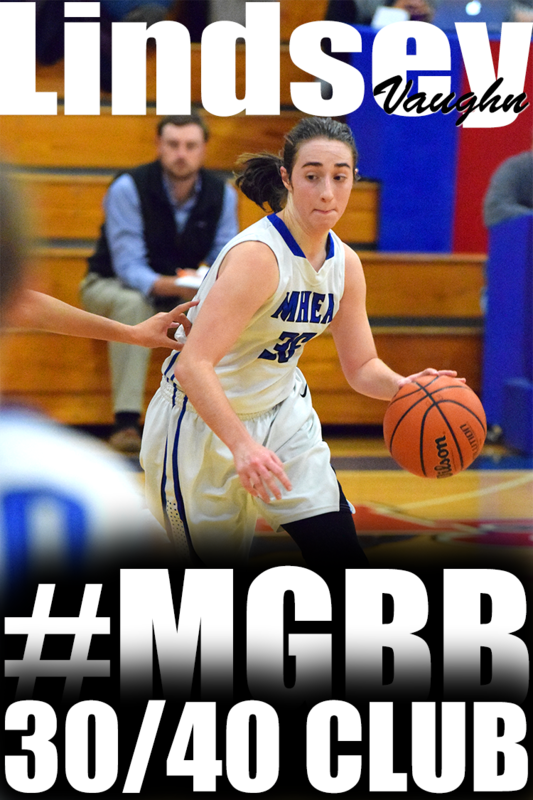 The "AAU" season has started off with a bang and controversy... And you can read all about it at MemphisAAUGirlsBasketball.com. The doors will be opening this week. The Central girls team fell behind early and battled to the end, but Nashville Hillsboro's Jessica Pace hit a 15-foot off-balance shot at the buzzer to give Hillsboro a 62-61 victory in tonight's Class AAA girls state championship game in Murfreesboro. Pace drove to the basket from the wing, putting up the shot at the free throw line before falling down. The shot bounced once on the rim as the horn sounded, then dropped in. Pace also pulled down 11 rebounds for the Burros (34-1). Central (35-2) led 61-60 after Erica Burgess hit one of two free throws with 15 seconds left in the game. 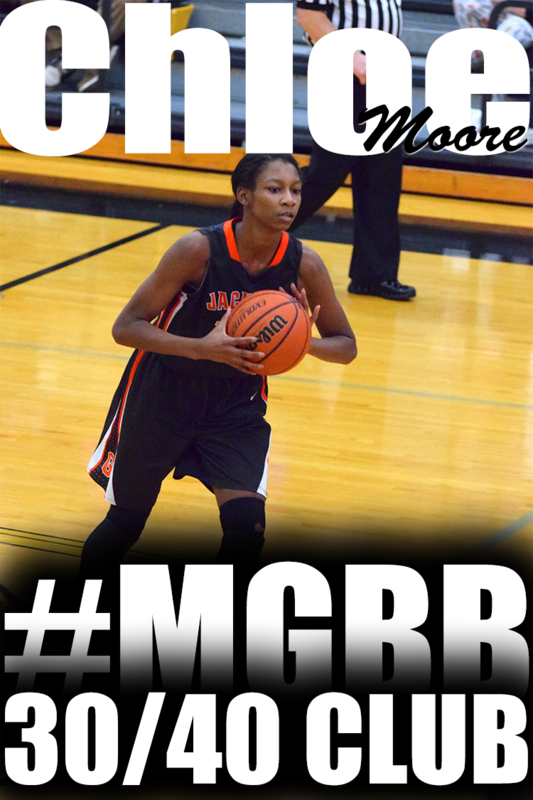 Freshman Danielle Ballard led the Lady Warriors with 17 points. She also added a game-high 12 rebounds. Pace finished the game with 24 points and earned the MVP award. Central (61) — Jamila Ajanaku 10, Danielle Ballard 17, Erica Burgess 11, Jasmine Taylor 10, Aaliyah Whiteside 13. Hillsboro (62) — Isabelle Harrison 16, Lakeisha Crouch 17, Jessica Pace 24, Kearra Holt 4, Monique Shelton 1. Records — Central 35-2, Hillsboro 34-1. The National Recruiting Coordinator for ESPN HoopGurlz, Mark Lewis attended the quarterfinal games in Murfreesboro, TN. Check out what he had to say about the Memphis Teams. Click here. Central jumped out to a 16-8 lead in its Class AAA semifinal today at Murfreesboro's Murphy Center, and never looked back in defeating Nashville McGavock, 67-46. The Lady Warriors (35-1) will play Nashville Hillsboro in Saturday's state championship. Central is trying to become the first Class AAA girls team from Memphis to win the state girls basketball crown since Melrose won in 1985. Jasmine Taylor led Central with 22 points. A young Overton squad fell behind early and never could catch Hillsboro in its Class AAA semifinal. Overton was able to cut Hillsboro led to 43-39 with 5:50 left in the game, but that was as close as the Lady Wolverines would get in their 56-46 loss. Junior Jasmine Robinson led Overton with 20 points. 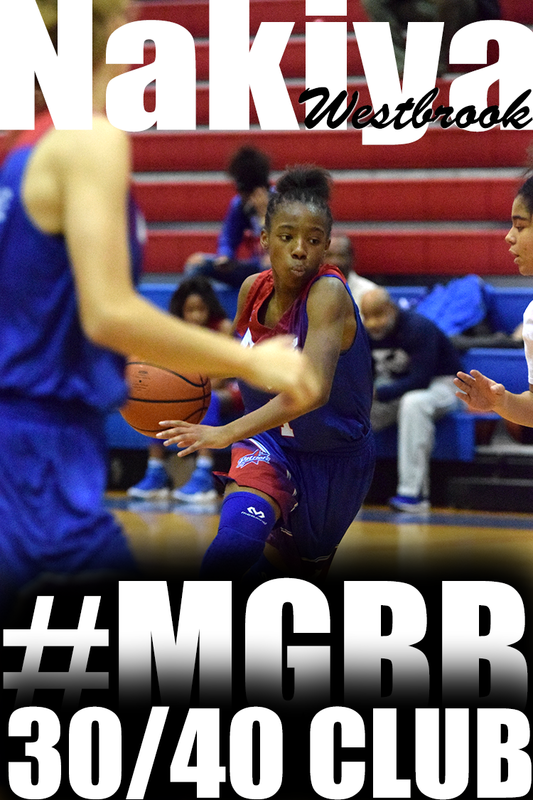 McGavock (46) -- Arieyelle O'Neal 4, Tanesha Stenson 14, Anissa Ragland 4, Shacola Clay 16, Angie Blair 3, Michelle Tribue 3, Netanya Jackosn 2. Central (67) -- Jamila Ajanaku 10, Danielle Ballard 12, Erica Burgess 9, Jasmine Taylor 22, Aaliyah Whiteside 14. Records -- McGavock 30-4, Central 35-1. Overton (46) -- Lakeria Crowder 7, Cronelia Fondren 2, Golden 2, Jackeya Mitchell 3, Jasmine Robinson 20, Karisma Tyson 12. Hillsboro (56) -- Isabelle Harrison 22, Vacie Perry 8, Lakeisha Crouch 10, Jessica Pace 10, Elizabeth Smith 2, Kearra Holt 2, Deidra Deberry 2. Records -- Overton 27-7, Hillsboro 33-1. Freshman Danielle Ballard’s 15 points lead three Central players in double figures as they easily won their TSSAA Class AAA state quarterfinal game in Murfreesboro, 51-39, over Tennessee High from Bristol. Aaliyah Whiteside and Erica Burgess each scored 10, and Jamila Ajanaku, a Middle Tennessee signee playing on her future college court, had eight. Central, the 21st-ranked team in the nation according to ESPN RISE, will play in the semifinals Friday against the winner of the McGavock-Greeneville game. The Overton Wolverine girls basketball team trailed 19-11 at the half and 26-19 after three quarters, but turned up the defensive pressure in the fourth quarter to rally back and beat Murfreesboro Blackman, 43-40, in today's Class AAA state quarterfinal in Murfreesboro. Overton's Karisma Tyson's two free throws with 1:30 left in the fourth quarter gave the Lady Wolverines their first lead of the game at 39-38. After Blackman took the lead back, Tyson made a reverse layup to give Overton a 41-40 lead with 1:05 left. 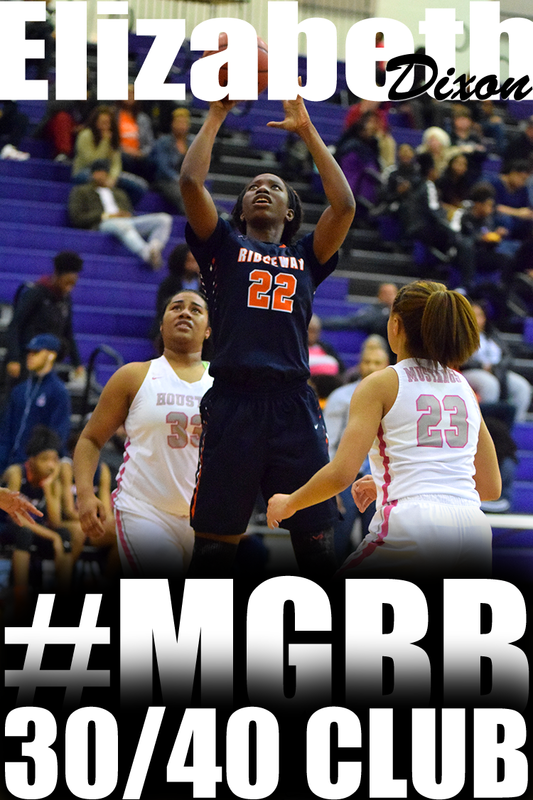 Blackman then committed its 14th turnover of the game and Overton's Cornelia Fondren was fouled. Fondren made the first and missed the second free throw attempt. Blackman's Shelby Campbell attempted a 3-pointer with nine seconds remaining, but missed and Lakeria Crowder of Overton got the rebound. Crowder added a free throw giving Overton a 43-40 lead and Blackman missed on a final 3-point attempt. The Lady Wolverines advance to tomorrow’s 4 p.m. semifinal against Hillsboro. 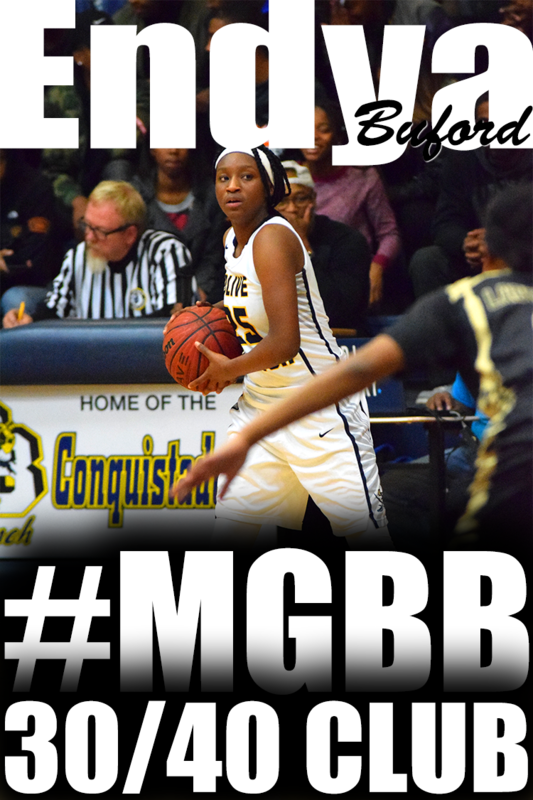 Jasmine Robinson’s 16 points lead Overton, which improved to 27-6. Orlandria Williams added 10. Campbell’s 15 led Blackman. Central (51) -- Jamila Ajanaku 8, Danielle Ballard 15, Erica Burgess 10, Finesse James 2, Jasmine Taylor 6, Aaliyah Whiteside 10. Tennessee High (39) -- Danielle Montgomery 9, Sara Wysor 3, Kimberly Wood 17, C. Thornsberry 2, Sarah Baker 3, Blakeley Burlesson 5. Records -- Central 34-1, Tennessee High 28-5. Overton (43) -- Lakeria Crowder 3, Cronelia Fondren 3, Jackeya Mitchell 7, Jasmine Robinson 16, Karisma Tyson 4, Orlandria Williams 10. Blackman (40) -- T'Anna Overton 7, Shelby Campbell 15, Kelsey Nowlin 6, Tiera Norris 7, Chelsey Hall 1, Ladonna Bailey 2, Katie Smith 2. Records -- Overton 26-6, Blackman 19-11. Millington's lose to Overton in the Sectional game really hurt there status and Central is moving full speed ahead. ESPN Rise released there Fab 50 rankings on March 11, 2009. Millington dropped from 18 to 32. Central jumped 8 spots from 29 to 21. Central also is number 2 in the regional ranking. Click here for complete Fab 50 ranking. But that's not it for Central. Central moved to number 16 from 21 in RivalsHigh Hoop 25 ranking. Click here for RivalsHigh ranking. Central Lady Warriors continue their journey to a State Championship on Saturday, March 14, 2009. Jason Smith of the Commercial Appeal will be blogging from Murfreesboro. Click here. Here are some post season photos provided by James Muhammad. Central's Diaper Dandy's Danielle Ballard and Aaliyah Whiteside with Region 8 hardware. It's That time of the Year!! The high school season is coming to an end this weekend and hopefully we will be crowning a memphis city school as state champion. If you are not able to attend the state tournament in Murfreesboro. That's ok because the "AAU" or circuit or spring/summer season is here. Jasmine Gardner walked slowly toward the other end of the floor with the top of her jersey covering her face. The Mitchell High junior standout thought she had done all she could to help salvage what was supposed to have been the most memorable season in recent memory for the Lady Tigers. 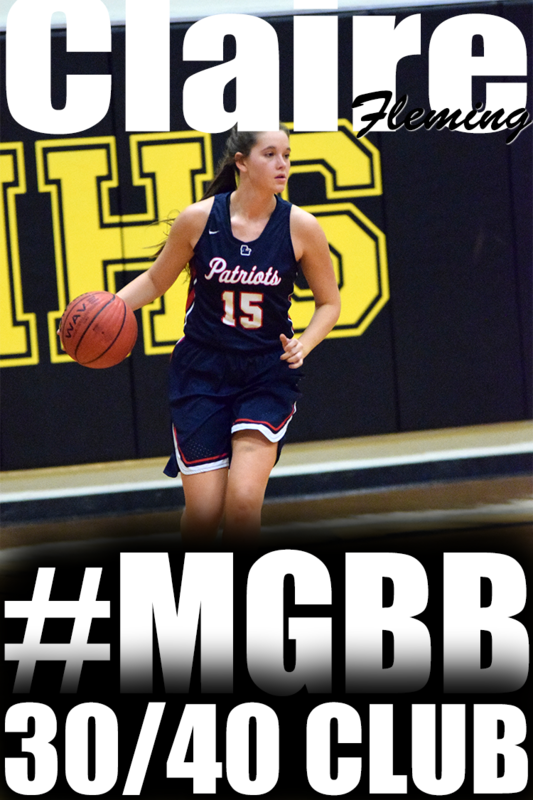 Gardner saved her best basketball of the season for the final 16 minutes of Saturday night’s TSSAA Class AA sectional against Martin Westview. She converted turnaround jumpers in the lane. She stuck back missed shots. And when she wasn’t swatting shots, she was pulling down key rebounds on both ends of the floor. There are Senior Nights -- but few seniors gave themselves the kind of sendoff that Central's Jasmine Taylor, Erica Burgess and Jamila Ajanaku fashioned Saturday night. 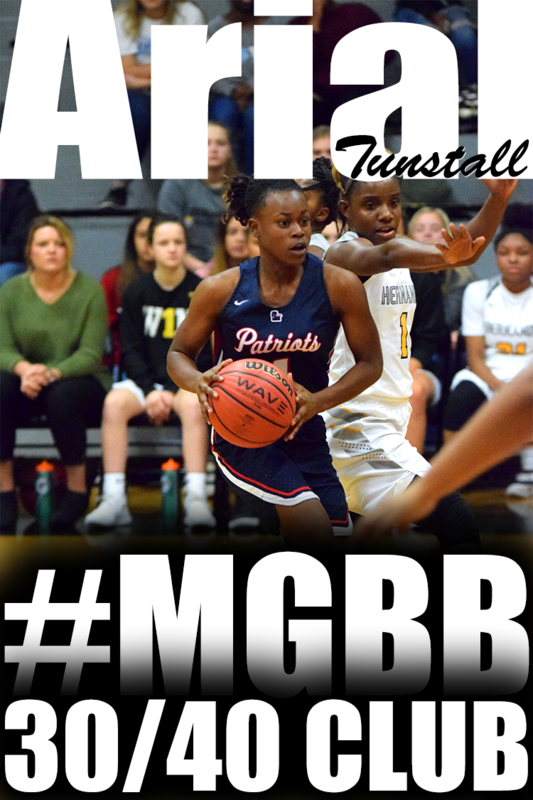 The trio combined for 46 points, and save for a second-quarter hiccup Central dismantled Bartlett and two-time Best of the Preps Player of the Year Jasmine James to claim a 65-46 sectional title before a packed, hot, happy gym. Overton's girls basketball team earned its first state-tournament berth in school history Saturday night by shocking 2008 state runnerup Millington, 70-66, in a Class AAA sectional game. Junior Jasmine Robinson's 28 points led an Overton team that had been embarrassed by 28 points in a Region 8-AAA title-game loss to Central on Wednesday. Freshmen Cortice Golden and Cornelia Fondren added 15 and 10 points, respectively, for the Lady Wolverines (26-6). 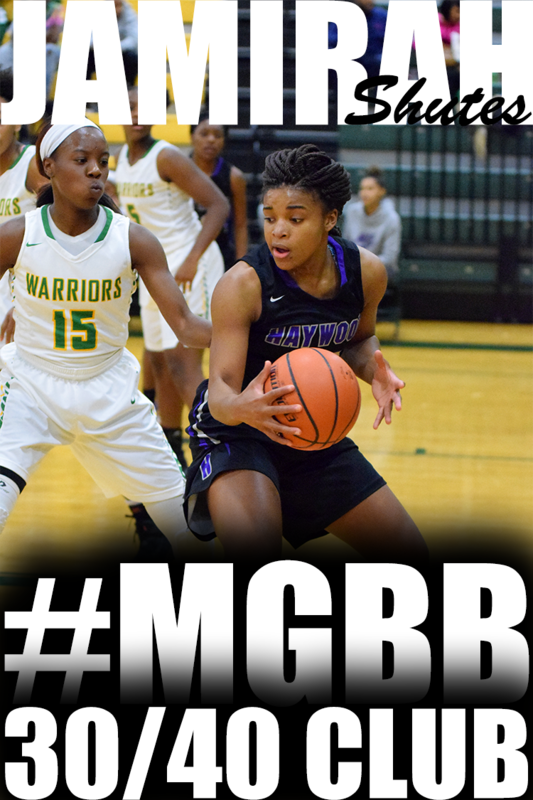 Bartlett (46) -- Naudia Crisp 8, Jasmine James 10, Destiny James 10, Jemil Jefferson 8, Brianna Walker 10. Central (65) -- Jamila Ajanaku 12, Danielle Ballard 8, Erica Burgess 16, Jasmine Taylor 18, Aaliyah Whiteside 11. 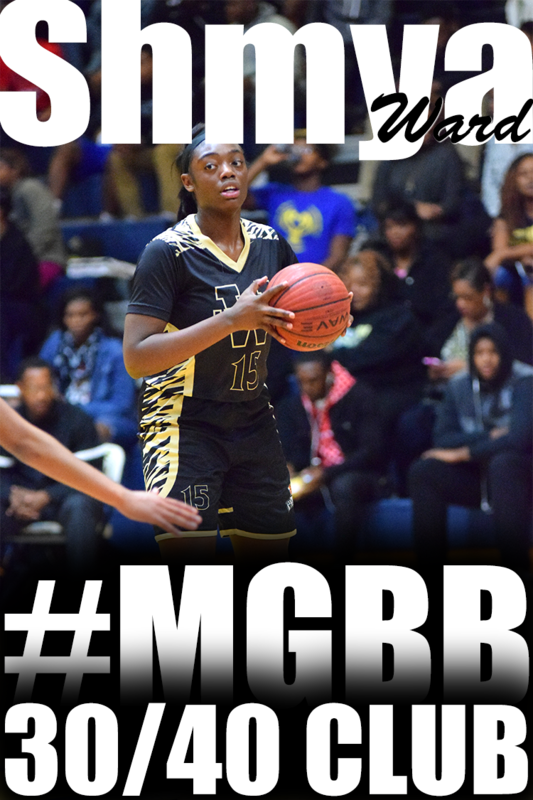 Overton (70) -- Crowder 11, Cronelia Fondren 10, Golden 16, Jasmine Robinson 28, Karisma Tyson 2, Orlandria Williams 3. Millington (66) -- Tamarah Brandon 7, Michelle Brown 10, Misha Jones 4, LaTesa McLaughlin 2, Jasmine Newsome 37, Ashley Robinson 6. Westveiw (76) -- Reechis 30, G. Swain 16, Olds 19, Nanney 1, Pitcher 10. Mitchell (75) -- Keandra Beverly 2, Jasmine Cofield 15, Jasmine Gardner 22, Tiara Henderson 4, Teneir Mathis 6, Monique McConnell 15, Anesha Morton 9, Valencia Williamson 2. Brittney Griner is not affiliated with Memphis Girls Basketball, but I just had to let you see this with your own eyes. Rather than standing, as is his usual custom during games, Overton girls basketball coach Jamie Rosser had taken a seat midway through the third period Wednesday with his Lady Wolverines trailing Central by double digits in the teams' Region 8-AAA girls title game at Wooddale. Sitting near Rosser were his top three players -- juniors Jasmine Robinson, Orlandria Williams and Karisma Tyson. All had been benched for the majority of the second half in an embarrassing 59-31 region title-game loss to Central. Overton (31) -- Crowder 5, Cornelia Fondren 11, Golden 2, Mitchell 2, Jasmine Stafford 7, Orlandria Williams 4. Central (59) -- Jamila Ajanaku 10, Danielle Ballard 13, Erica Burgess 8, Finesse James 3, Lashea Shaw 2, Jasmine Taylor 8, Aaliyah Whiteside 15. Records -- Overton 25-6, Central 32-1. Jasmine Garner, a 6-3 junior, shook off some early shooting woes to score 23 points, 10 in the final quarter to fuel Mitchell's 24-7 run in the final five minutes. "I had to keep playing, that's all. We weren't going to lose," said MVP Garner, who also had five steals as Mitchell avenged a one-point City Championship loss to BTW. Mitchell (60) -- Jasmine Cofield 13, Jasmine Gardner 23, Tiara Henderson 2, Teneir Mathis 6, Monique McConnell 12, Valencia Williamson 4. Washington (40) -- Telicia Bobo 2, Jessica Brown 7, LaQarius Harris 9, Daria Hester 13, April Holman 2, Monique Ingram 5, Brandi Shipp 2. All Games are Saturday, March 7, 2009, at 7:00 PM Local Time unless otherwise stated. Click here for TSSAA site. The winners of Saturday's games advance to the state touranament that will be held in Murfreesboro, March 10-14. Check out the annoucement of the Region 8 All Tournament team on popoTV. Central 59 Overton 31 WOW! In my opinion, this was a highly anticipated match-up because of the battle these two had in the City Championship game. However as the final score displays, it was not much of a battle during the rematch. Overton simply was not in sync at all--from tip off til the final horn. However, Central was clicking on all cylinders. After being benched for the majority of the Central-White Station semi-final game, Jamila Ajanaku played like a woman possessed. Getting a double double with 11 points and 13 rebounds. Aaliyah Whiteside quietly did her damage leading the team in scoring with 15 points and was named MVP of the regional tournament. Central simply looked like a team on a mission to a State Championship. The ESPN Rise Fab 50 was release today, March 4. Millington moves up one to 18 and Central jumps seven spots to 29 from 36. BTW GIRLS 57, HILLCREST 55 (OT): Senior Daria Hester had 16 points, including the putback shot at the buzzer that clinched the comeback win for the Lady Warriors, who were down by seven in the fourth quarter against the Vikings (15-16). 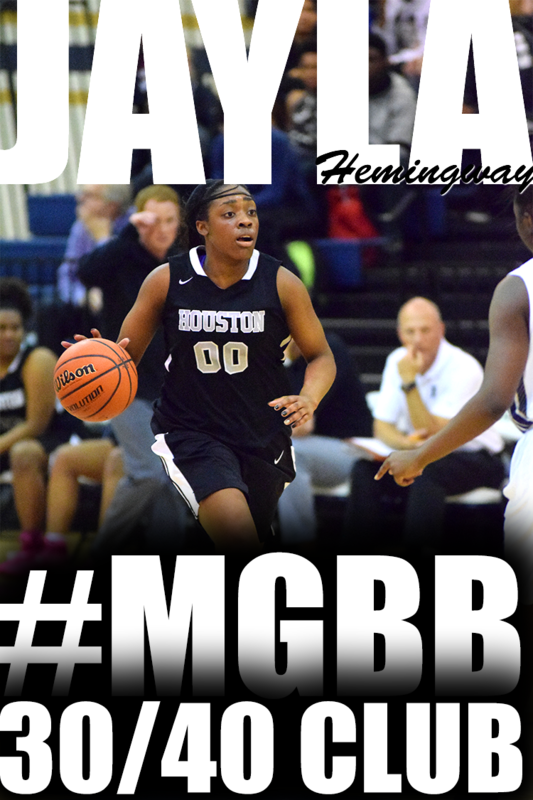 Senior Jessica Brown led BTW with 26 points while Hillcrest junior Tracy James had 22. MITCHELL GIRLS 74, OAKHAVEN 62: Junior Jasmine Cofield had 19 points and junior Tenier Mathis 16 to lead the Tigers past the Hawks, led by senior Lamonica Holmes’ 18 points. Hillcrest (55) -- Tamirica Hunt 7, Terrica James 24, Ashley Jones 1, Chasity Richardson 11, Brittany Taylor 8, Octavia Wilson 4. Washington (57) -- Jessica Brown 26, LaQarius Harris 7, Daria Hester 16, April Holman 2, Monique Ingram 6. Oakhaven (62) -- Jennifer Gross 15, LaMonica Holmes 18, Dyanndron Kinchelow 4, Sam Ruffin 5, Porsche Watkins 18, Christina Young 2. Mitchell (74) -- Jasmine Cofield 19, Jasmine Gardner 8, Tiara Henderson 10, Katina Jones 2, Teneir Mathis 15, Monique McConnell 9, Anesha Morton 4, Valencia Williamson 7. Bartlett and Millington will battle it out for the Region 7 championship in Jackson, TN at 7:00pm on Wednesday, March 4, 2009 at Liberty Tech High School. How many points will Jasmine James score??? If you are unable to attend you can listen live by clicking here. Central and Overton will battle it out for the Region 8 Championship on Wednesday, March 4 at 7:00pm at Wooddale High School. If you can't make it to the game, you can watch it live by clicking here. Overton girls basketball coach Jamie Rosser has been honest with himself with regards to the coaching decisions he has made over the past couple of games. Following Friday win against Fairley in the quarterfinals of the TSSAA Region 8-AAA tournament, Rosser admitted that he was wrong for playing junior standout Jasmine Robinson out of position. And in Monday night’s semifinal game against Melrose, the second-year Overton coach admittedly called for the wrong defensive strategy against an undersized, but speedy Melrose squad. 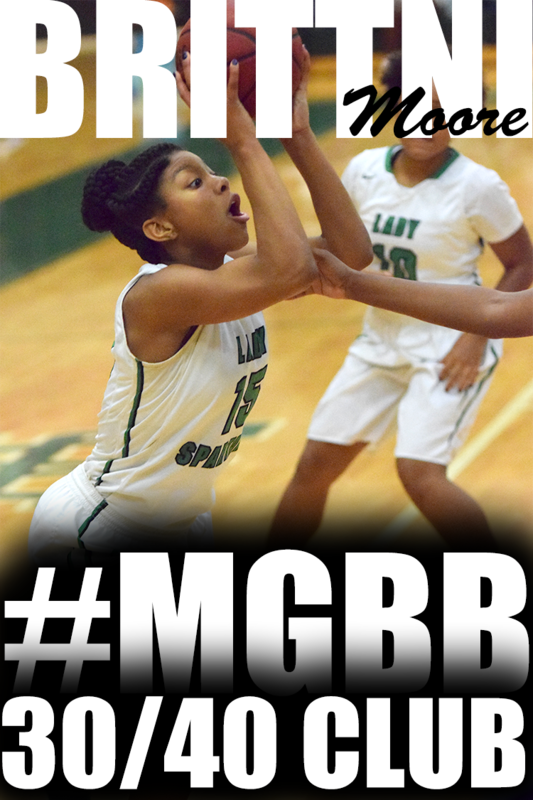 White Station (39) -- Casey Gregory 6, Megan Miles 6, Kaitlin Murphy 8, Chi Chi Okwumabua 13, Carnecia Williams 6. Central (55) -- Jamila Ajanaku 10, Danielle Ballard 11, Erica Burgess 13, Jasmine Taylor 9, Aaliyah Whiteside 12. Melrose (51) -- Lawanda Clayborne 10, April Hall 13, Teneisha Lurry 13, Danielle Patterson 7, Kyeshia Vinson 6, Sherah Williams 2. 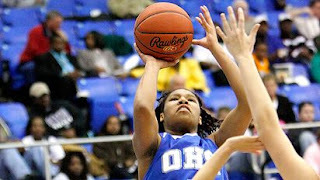 Overton (60) -- Crowder 7, Cronelia Fondren 4, Mitchell 4, Jasmine Robinson 18, Karisma Tyson 17, Orlandria Williams 10.